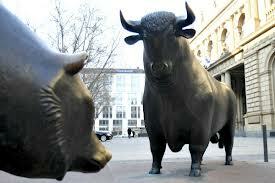 Your Financial Advisor: Bull Market Genius or not? You may believe your financial advisor is the next Warren Buffet if you hired him in the past three years. The value of your assets has been rising ever since he started influencing or controlling your investment decisions. Was it luck or brains? You may have blamed your last advisor for your losses in the 2008 Bear Market. When he won the relationship, he claimed his expertise and services would minimize your losses. But, that turned out to be another undocumented sales claim. The reality was you lost more than the market so the value of your retirement assets was down substantially. And, that was before you deducted all of the expenses. Your solution was to fire the advisor and find a new one who promised better results. You selected a new advisor who claimed he could minimize losses in down markets and produce superior returns in rising markets. He started at the beginning of the current Bull Market and you have been making money every since. You may believe the advisor is an investment genius because you are giving him credit for the performance of the Bull Market. What is fair in Down Markets? Should you blame your advisor for your performance in a Bear Market? If you took more risk than the market you should lose more in down markets. But, you should make more in rising markets so there is an offset. You have a big problem if you took less risk than the market, but lost more than the market. You will have an even bigger problem after you deduct all of the layers of investment expenses. You should have terminated the advisor if he claimed he could minimize losses in down markets. This is another undocumented sales claim. What is fair in Rising Markets? Do you give your advisor credit for your performance in a Bull Market? It depends on risk exposure and your expectations. If you took more risk than the market you should outperform it when it is going up. If you take less than the market you should lag its performance during positive years. If you were sold superior performance, you should expect it. In particular, if you are paying substantial fees, commissions, and transaction charges for the performance. In this instance the advisor should get credit for performance that is in excess of market results after all investment expenses are deducted.